We all have “bad days.” The same is true for the judge, your lawyer and you. Part of the reason that Court is so unpredictable is because there are humans involved in the process. You just do not know what that other persons has had to deal with the last day, week, or month. Those outside influences, while they should not impact a case, can effect the outcome. When the judge has a “bad” day, lawyers get chastised, witnesses “corrected” and rulings may be delayed. When lawyers have “bad” days client got to jail! A short post today and not a lot of solutions, however the take away is show grace and until you’ve walked a mile in their shoes, you do not know what someone else is dealing with. Matthew Thompson is a Family Law Attorney in Mississippi and former Photo Editor/Photograph for MC Law’s Legal Eye student newspaper. The official low was 13 degrees! 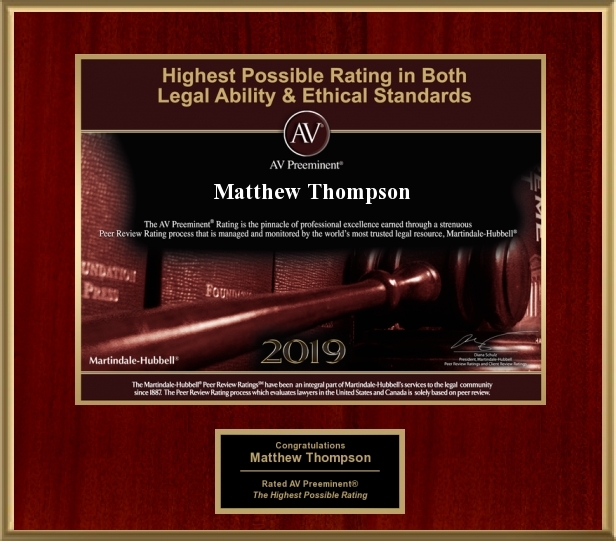 Matthew Thompson is a Divorce Lawyer in Jackson, Mississippi and can help bring the heat if your relationship is too cold to survive.